To investigate whether nitrite levels were abnormally high in expired breath condensate (EBC) from workers with asthma-like syndrome. Materials and methods: We measured the nitrite levels in EBC from 48 volunteer workers, including 25 smokers, with asthma-like syndrome before and after SO2 exposure and compared these levels with those from 44 nonexposed control subjects, including 23 smokers. Results: Baseline concentrations of nitrite in the workers before SO2 exposure were higher (19.31 ± 1.06 nmol/mL) than in the controls (13.08 ± 1.36 nmol/mL; P < 0.001). Acute SO2 exposure produced a significant increase in concentrations of nitrite (23.62 ± 1.36) compared to the baseline value (P < 0.05). Preexposure nitrite concentrations were similar in smoking and nonsmoking workers (17.85 ± 1.72 and 20.20 ± 1.59; P > 0.05). Conclusion: We concluded that nitrite levels in EBC are increased in the asthma-like syndrome induced by occupational SO2 exposure in an agricultural environment, suggesting the role of inflammation in the syndrome; this first application of the EBC method may be suitable in other field studies in occupational medicine. ISNAD YILDIRIM, Zeki , SÖĞÜT, Sadık , KÖKSAL, Nurhan , KILIÇ, Talat . "Increased nitrite levels in exhaled breath condensate in asthma-like syndrome induced by occupational sulfur dioxide exposure*". 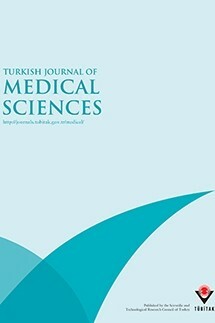 Turkish Journal of Medical Sciences 42 / 3 (March 2012): 425-431.